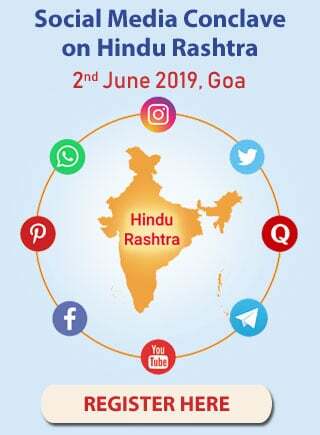 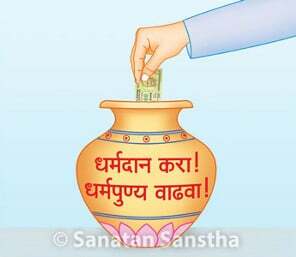 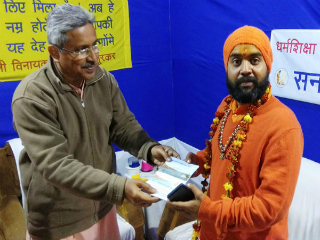 Prayagraj (Kumbhanagari) : Sanatan Sanstha has set up nice exhibition giving guidance on leading life, good deeds, celebration of birthdays etc. 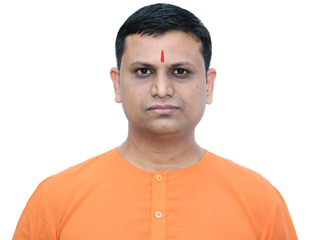 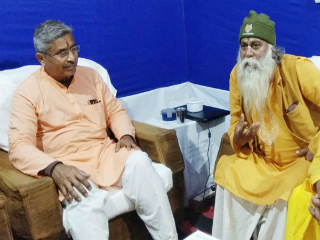 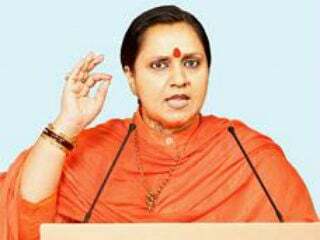 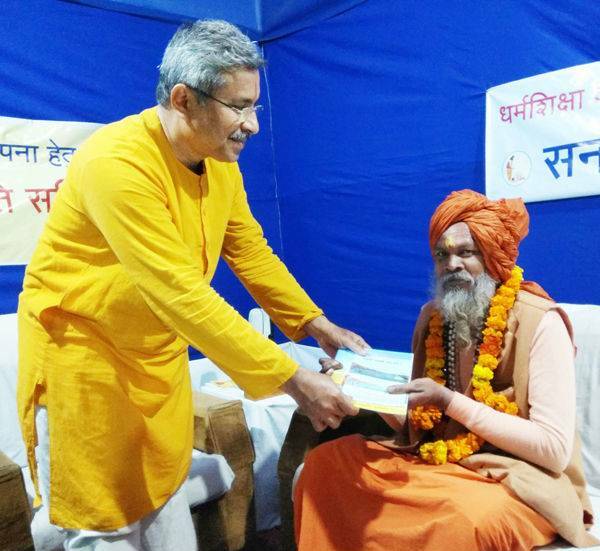 I pray to Ganga Mata and Shri Hanuman for growth of Sanatan Sanstha in future, stated Shri Mahant Padmananda Saraswati from Naga Sanyas Barsana asharm, Uttar Pradesh so also, Secretary of ‘Shri Panchadash Juna Aakhadaa’ on 19th February, after visiting books and ‘Dharmashikshan’-boards exhibition held at Kumbhanagari by Sanatan Sanstha and Hindu Janajagruti Samiti (HJS). 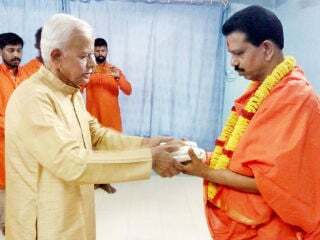 ‘Pujya’ Nilesh Singbal, HJS-Guide for North-East India welcomed and garlanded him.